Working at a small company (Found Line), there aren’t as many opportunities to talk with and learn from a diverse set of co-workers as there might be at a larger organization. This is part of the reason why I organize our local PHP Users Group and am involved with other community events (VAGUE, Vermont Code Camp, Burlington Web Application Group, etc.). These are all technically-focused groups—I’d like to try something new. Found Line would like to start hosting brown bag lunches. Each lunch will feature one speaker from the local community and will be about an hour long. The talk itself can be up to 30 minutes long, but can be as short as 10 minutes (we want to reserve at least half of the time for discussion). We will provide the monitor or projector, if needed. As the name suggests, BYOL. If you’ve been to our studio, then you’ll know that it isn’t very big. This means that space will be limited, but I think a smaller group has its benefits. We’d really like the first speaker to be someone from outside of Found Line. If you’re here in the Burlington, Vermont area and have a topic you’d like to talk about for anywhere from 10 to 30 minutes with a small group of colleagues, then please let me know. The only requirements are that your talk isn’t a sales pitch and that it’s on a topic that you’re passionate about. 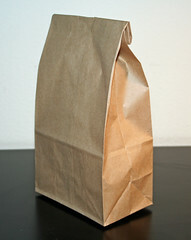 Update (4/4/2011): Please fill out this form if you’d like to speak at an upcoming brown bag lunch. This entry was written by Bradley Holt, posted on April 1, 2011 at 1:05 pm, filed under Uncategorized and tagged Brown Bag Lunch, BTV, Business, Found Line. Bookmark the permalink. Both comments and trackbacks are currently closed. I can come play along after the legislative session is over. Wow…thought provoking to say the least. What a great way to change up your routine during the work week. Cool idea. Count me in.